The use of LEDs for hair has been demonstrated in several scientific studies. Phototherapy or laser treatment of hair loss will stimulate the bulb. When we place ourselves under the LEDs, the specific wavelengths will penetrate into the deep dermis where the bulbs are located, these waves will trigger in the mitochondria the synthesis of ATP which is the energy of the cells. New more efficient model for the 272 leds: only 7 minutes/day session compared to 30 to 60 minutes for the other models! Hair loss cap, a clinically proven technology! How to significantly overcome hair loss? Many promises, but disappointing results. Today, thanks to LED technology, we have the joy of finding beautiful hair and optimal hair density. Of course, the hair LED cap guarantees you results proven by serious clinical tests. It should be noted that the structure of the scalp is the same as that of the skin. It is composed of the epidermis, dermis and hypodermis. The scalp is very rich in hair follicles that are deeply implanted in the hypodermis. There are also sweat glands (they secrete sweat) and sebaceous glands. The latter are responsible for the secretion of sebum. Each sebaceous gland is attached to a hair. Hair will be oily or dry depending on the amount of secretion from their glands. As for the hair itself, it is composed of two main parts: the stem (the visible part) and the root buried in the scalp. The root is composed of a bulge called a bulb. Poor irrigation of the bulb thus leads to hair deterioration. Two phenomena cause hair loss in particular: the stiffening of collagen and the suffocation of the hair. Indeed, the root of each hair is surrounded by a flexible collagen sheath. This can accumulate and stiffen, in these conditions the hair is suffocated. The consequences are catastrophic: the hair falls early, replaced by a new one that grows finer. The capillary density is thus considerably reduced. Hair loss is often related to stress. In fact, stress causes a contraction of the scalp vessels. Poorly irrigated, bulbs give rise to lower quality hair, then they dry up. Scientific research on alopecia has made it possible to put in place effective treatments to better fight this disease. Some treatments use mesotherapy. Others highlight the photobiomodulation of LEDs. It has been confirmed by several scientific studies carried out in renowned research centres. Or a combination of mesotherapy and LED. A winning duo to restore healthy hair and end repeated hair loss. 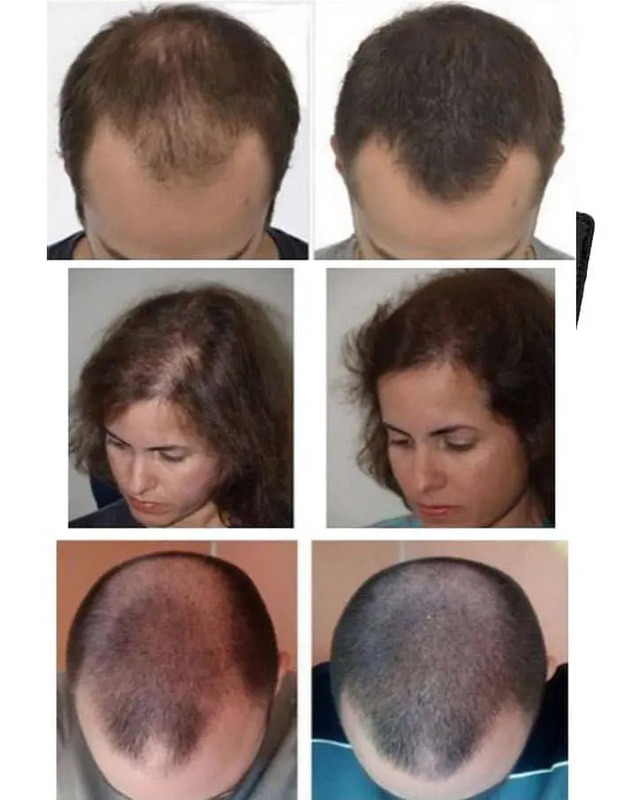 Now, both women and men have a powerful weapon to stop hair loss. 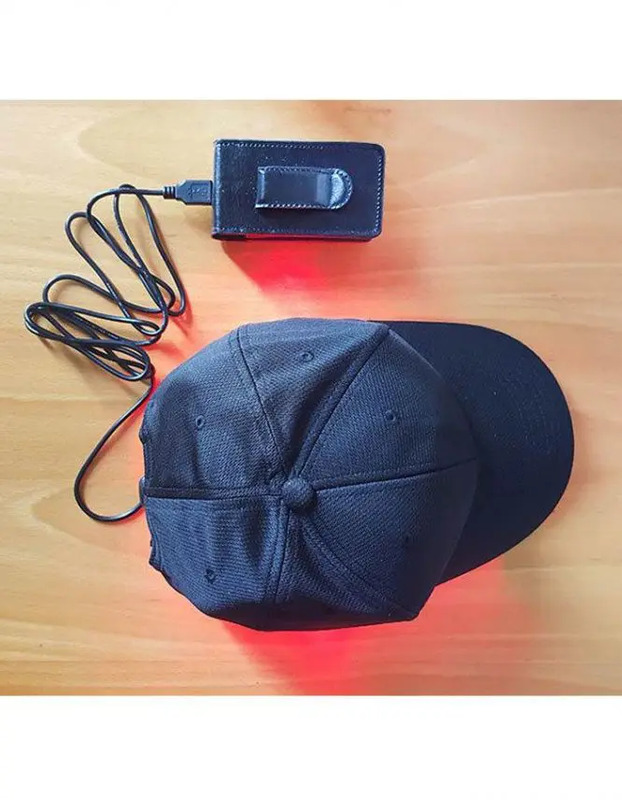 A major discovery in the advanced research of experienced researchers, this LED cap is a revolutionary device against hair loss. It uses LLLT (Lowlevel Laser Therapy) technology. This is a low-intensity laser therapy. The hair LED cap has largely proven its effectiveness against alopecia areata. It also promotes rejuvenation of the hair in record time. If the LED cap is so effective, it is mainly due to the powerful independent LEDs it houses. They have a positive effect on all hair types. In addition, they have no side effects. 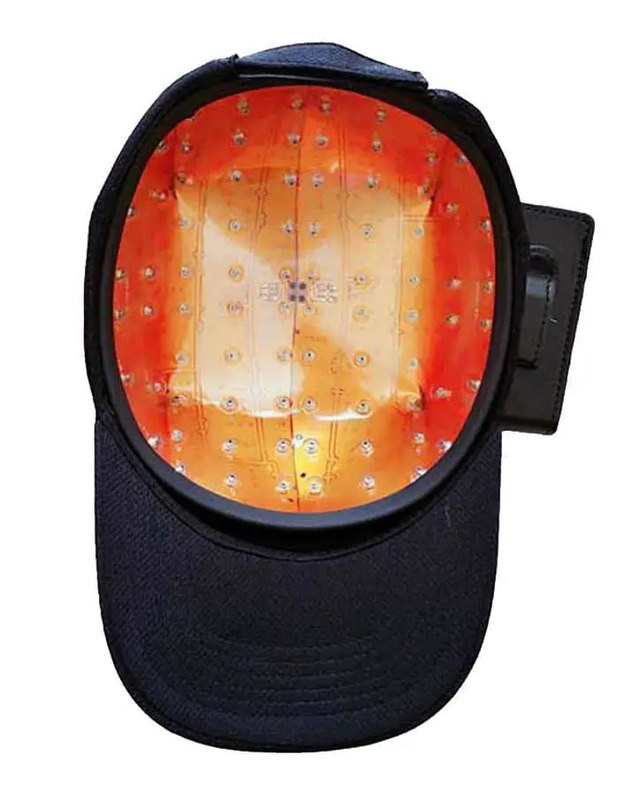 The LED cap selects the right waves, avoiding harmful UV rays that are naturally present in daylight. Based on diodes emitting light radiation, the hair LED cap is fiercely opposed to a major cause of hair loss: the stiffening of collagen. Today, photobiomodulation or LED (Light Emitting Diodes) is a technology that is widely used in the field of aesthetics. LED technology was developed following advanced studies in the United States. This includes research conducted by NASA to better understand the influence of light on cell regeneration. It has even been favoured by a large structure such as the Food and Drug Administration (FDA). The light produced by the LEDs stimulates collagen synthesis. By promoting cell regeneration, LEDs guarantee good hair growth. This so-called “cold” light is painless. The results can be immediate or progressive. It will all depend on the extent of the hair loss. But, in the end, the quality of the hair, its density and regrowth are significantly improved. In some cases, patience is required, as the effects appear after a few months. Of course, the earlier you start, the more likely you are to stop the phenomenon. The cap consists of 272 or 80 independent diodes. The advantage of this hair LED cap is that you can put it on discreetly during all your outings. Simply place it under your hat. At home or at work, it is the sure ally to get rid of alopecia as quickly as possible. Wherever you go, you can use the LED cap for hair. Whether at the wheel of your vehicle or during your various races, it will not interfere with your usual activities. It can be used frequently and safely. It is easy to carry and transport. In addition to the traditional treatments, the LED cap is a precious help to strengthen your fine hair and stimulate its growth. The kit includes: an LED device (diodes), a battery and its charger. Not to mention the user manual to ensure proper use. Who is concerned by this new innovation: the hair loss cap? All victims of alopecia are occasionally or permanently affected. Are you losing more and more hair? Don’t panic! Don’t panic! 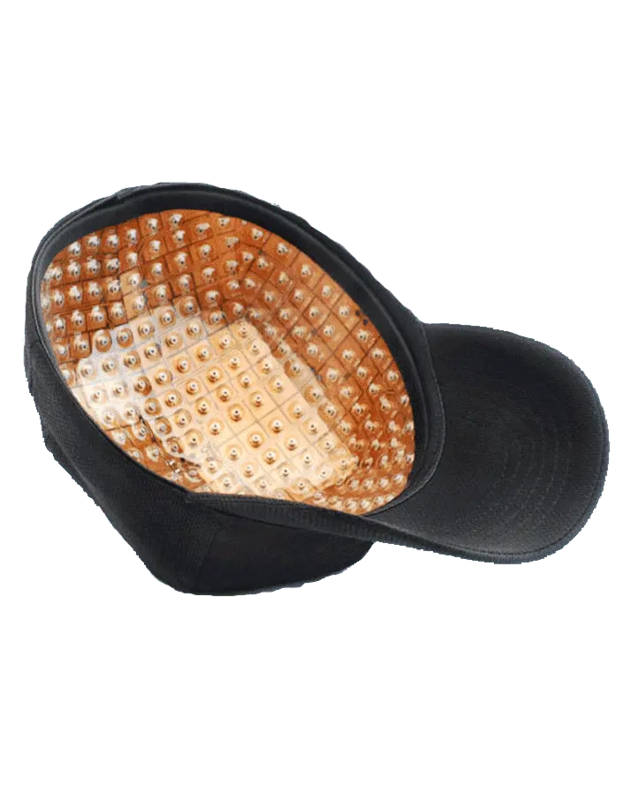 The hair LED cap is able to slow down hair loss. As well as to encourage the appearance of rapid regrowth from the outset. It also significantly increases hair density. If you are losing your hair, don’t wait to act: the LED cap is the ideal device to undertake a “cure” that promises exceptional results. Class 3R laser product (Class 3R: lasers whose direct exposure exceeds the EMP (Maximum Allowable Exposure) for the eye, but whose emission level is limited to five times the LEA (Accessible Emission Limit) of classes 1 and 2. Exposure may be hazardous to eye exposure in the most unfavourable condition. Laser treatment is not recommended for hair loss related to chemotherapy or due to circumscribed alopecia (or any other autoimmune disease). It is also not recommended if you have suffered significant hair loss for more than five years.